Once again, the Natural Solutions Foundation wants to thank the Environmental Working Group for their outstanding work. For 5 years the EWG has published a list of the safest, and most dangerous, types of produce, focusing on pesticide levels. Here is this year’s list. Numbers in front of the item indicate how bad it is (higher is worse), numbers after the item indicate its pesticide load. So eat from the bottom of the list if you are not buying organic. If you are eating organic, you can enjoy the whole bounty of spring’s harvest. But think for a moment, before you begin to plan your shopping this season, what it means to have foods like peaches, apples and sweet peppers so contaminated that eating them is, quite literally, taking your life onto your fork and into your hands. That is what the industrialized food producers have done so far: introduced, with the blessings of our weak and dangerous government regulators who allegedly are keeping our food safe, chemicals and genetic alterations, irradiation and other degredations which have made our food not only unwholesome, but downright dangerous. But WAIT!! There’s more. HR 875, S 425 and the associated bills working their way rapidly through our clueless (or worse!!!) Congress are fixing to make the current level of contamination look like Grandma’s home grown goodies. Click here to tell Congress in no uncertain terms that this set of bills must not pass and, if pass, MUST be ammended to protect home and organic food production, growing and farming. HR 875 and S 425 (and their associated bills) provide for a level of industrial control of our food supply that will, not might, may, could or can, but WILL guarantee that you and your family WILL get sick from even more poisoned food. Maybe not this week, maybe not until a few years down the road, but nutritional under supply (from foods grown in soil fertilized with synthetic fertilizers and depleted from de mineralization never really corrected) and toxic overload WILL weaken your immune system, divert you from your life pursuits with chronic and often lethal illness. Freedom? You’ll be too sick to care. Your food WILL be genetically modified. GMO crops require 4 times more pesticide than conventional ones and a great many of them require huge amounts of herbicides (like glyphosate or Roundup(C), a wildly dangerous chemical which is associated with cancer, infertility, auto immune diseases and more. Roundup(C) is, of course, just one of a wide variety of horrifically toxic chemicals whose regulation these new laws put into the hands of unelected bureaucrats whose discretion is breathtaking. Their interest is not in food safety. Their interest is in serving the needs of their corporate masters, and their corporate masters’ masters. If that does not ring right with you, take a look at the lethal mess our food supply is in today. And then consider that it is the US FDA and USDA, again serving their corporate masters, who run the show at Codex Alimentarius, bringing us horrific standards and guidelines which have the potential to degrade the health, and shorten the life, of every man, woman and child on the planet who eats food grown inside the corporate corral. Of course, for you and me, NOT doing so will be a crime. Saving seeds will be a crime. Growing pristine organic food (or better) will, if the laws currently under consideration are implemented, quickly become a criminal act. The SWAT teams who raided the Ohio family organic cooperative a couple of months ago, the raw milk farmer in Pennsylvania who was taken to jail for selling his clean product and a host of other food atrocities will look, I am afraid, like the “Good Old Days” should these laws reach their logical – and lethal – consequences. Remember, the law is one thing. Contaminated food is quite another. Government regulatory agencies regulate for the sake of corporate interests. Yours are nowhere to be seen, unless, of course, you are Monsanto. In fact, the Representative who introduced HR 875 is married, as was a previous, and deeply destructive long-time US Codex delegate, to a Monsanto lawyer. No accident. The proposed new food agency and the new food powers (under these laws) are nothing short of cataclysmic and over the line insane from a health perspective. The Natural Solutions Foundation proposes removing ALL food regulatory power from the federal government which has, for about 80 years now, proven itself to be increasingly unable to push back the demands of industry, whether Big Pharma, Big Agribiz or Big Chema (or Big Medica, for that matter) weighed against the public good. Deadly drugs, deadly food, deadly environmental contamination and an unrelenting, accelerating assault on health aids like supplements and Nano silver are the result. Click the link below to tell Congress that, while you want the FDA, USDA, EPA and other inept and dangerous government agencies stripped of their food regulatory powers and those powers returned to newly constructed agencies at the State level controlled by consumers, statutorily devoid of corporate impact or connection, with harsh penalties for any breech of the perimeter keeping industry out of food regulation, we oppose the pending bills, HR875 and S425 which do not contain language to protect family farms and ranches; organic and natural products. When an agency or program has failed, the typical political situation is to throw money at it to “reform it”, making it bigger, giving it more powers and then watch it fail worse – followed by more money and more power. This is precisely what has happened with the latest FDA modernization and revitalization bills. More money, more power, more curruption, less safety of either food or drugs. Drugs you can avoid voluntarily. Food you cannot. The Natural Solutions Foundation has been warning for several years that home grown and produced food, and organic food, would be coming under sustained and terminal attack. Unfortunately, we were right and that attack is being mounted now. Therefore, the counter thrust must be mounted now, and it must be swift, effective and decisive. Food MUST be taken out of the hands of the corrupt federal agencies and given back to the people. And saved seed, a corner stone of liberty, along with clean, unadulterated food, MUST not be taken out of your hands and mine. If you love fascism, sit back and do nothing. If you want to see farmers forced to leave their land and their livlihoods, unable to produce clean food for you, sit back and do nothing. If you want to be forbidden to grow, can, preserver or share your own good food in the US of farmland from sea to shining sea, sit back and do nothing. If you want the laws of the US “HARMonized” with the draconian food laws of Europe, where a cucumber cannot be sold unless its curvature is correct and where the hundreds of seed companies that once flourished have been reduced to a rapidly dwindling handful, please, sit back and do nothing. But if you, like me, are aghast at these options, then stand up and be counted. Start disseminating and rousing support for the following action items as if your very life (and that of your children and grandchildren) deepened upon it. Your life and their does depend upon it. Click below to read a detailed analysis of HR 875 and S 425 and their frighteningly (and absurdly) vague permissiveness giving industry full reign over your food and therefore, your health. Click here (http://salsa.democracyinaction.org/o/568/t/112/campaign.jsp?campaign_KEY=26405) to tell Congress to divest the corrupt and inefficient FDA and USDA of their food regulatory responsibilities before they kill more of us! In the last in a long, long string of documented failures, shortcomings and tragic errors by the FDA, a recent report documents that the FDA is not only prejudiced and biased, but so riddled with conflits of interest, now not even considered a problem at the failed agency, that there is no way to trust the honesty or accuracy of the decisions of the agency. While this study looks at one aspect of the impact on drug regulation, food regulation is the same, only worse. There, the same problems apply, along with the intentional down-regulation of food to support the pharmaceutical markets which profit from the poor drugs approved by the drug regulatory side of the FDA house since degraded food makes people sicker quicker, and makes the profit picture derived from the drugs to treat those illnesses stronger longer. The picture is a dismal one but there is at least one solution: divest the FDA (and its equally corrupt partner in food crime, the USDA) of all food responsibilities. Rather than creating an new agency, as is currently being discussed by Congress, which will not deal with the fundamental issues and their deadly consequences, the answer, be believe, is to divest the Federal Government of all food regulatory responsibility and instead turn those responsibilities over to the unit of government which the people can impact: State governments. This is an urgently important concept and must be enacted, even as numerous States are asserting their soverignty from the corrupt and dangerous United States. Please support the Natural Solutions Foundation in its efforts to make food save once again, protecting food and freedom. You can donate to the Natural Solutions Foundation at http://drrimatruthreports.com/?page_id=189. All US donations are tax deductible. Spread the word and ask everyone you know to join the Health Freedom eAlerts, http://drrimatruthreports.com/?page_id=187, for up to the minute information and Action Items. Please take a moment to help us Divest the US Government of its food regulatory responsibilities here http://salsa.democracyinaction.org/o/568/t/112/campaign.jsp?campaign_KEY=26405 and then spread the word! Assess clinically focused product information on Medscape. Click Here for Product Infosites – Information from Industry. January 16, 2009 — More than one third of new drug marketing applications approved by the US Food and Drug Administration (FDA) were missing information about potential conflicts of interest for clinical trial investigators, which could allow bias to creep into the approvals process, a government report released this week has found. The FDA has said that it agrees with most of the report’s findings. Federal regulations require clinical trial sponsors to collect financial information from investigators at the outset of trials, and to report on their efforts to minimize the possibility that financial self-interest could color trial results, notes the report from the office of Daniel R. Levinson, Inspector General of the Department of Health and Human Services (HHS). Trial sponsors — usually the company developing or licensing the drug or device in question — only have to disclose this information when they apply for marketing approval, and even then there’s a loophole: they can claim that they “acted with due diligence” to collect financial information from each investigator to satisfy regulations. Yet 42% of new drug marketing applications filed in fiscal year 2007 were short on investigator financial disclosures, and in fully one fifth of cases where such information was disclosed, FDA reviewers took no action, the watchdogs reported. In addition, the HHS inspector general’s staff found that FDA can’t verify whether relevant information has been collected on all investigators because of incomplete data and the lack of on-site verification procedures. Collection and review of such information should be routine, as should appropriate action when required, and all of it should occur before a trial ever gets off the ground, contends a former FDA reviewer interviewed by Medscape Medical News. “You want to intervene at a time when there’s an ability to do something about it,” said John H. Powers III, MD, now an assistant clinical professor of medicine at the George Washington University (GWU) and University of Maryland Schools of Medicine. “To have a situation where the sponsor has already done the trial, submits the information, and then the FDA says ‘you have conflicts of interest with your investigators,’ puts the sponsor in a bad spot, the investigator in a bad spot, and it puts the FDA in a bad spot. It seems to me that if you’re going to regulate here that you should do it a proactive manner,” he said. Federal regulations concerning drug marketing approvals require that “adequate measures are taken to minimize bias on the parts of the subject, observers, and analysts of the data,” Dr. Powers noted, yet one of the most common sources of potential bias — investigator relationships with industry — are overlooked or ignored. When Dr. Ross was at the FDA, he and other reviewers warned agency management that a study used to support approval of the antibiotic telithromycin (Ketek, sanofi aventis) was marred by per-patient payments to investigators of up to $400, and, in at least one case, by fraud on the part of the investigator who enrolled the most patients (she was later sentenced to 57 months in federal prison), and by “serious violations in trial conduct” in 9 other trial sites, leading to 4 referrals for criminal investigation. Despite the warning, and despite ongoing concerns about reported hepatotoxicity from the drug, FDA management failed to take substantive action in response to reviewer concerns, a failure that Dr. Ross said is emblematic of the agency’s apparent indifference to the possible influence of investigator financial relationships with industry. “…CDER [the Center for Drug Evaluation and Research] is not doing that good of a job, and with what they do track, what are they doing with it? It’s like having laws against speeding and not writing any tickets,” Dr. Ross said. Eric G. Campbell, PhD, an associate professor at the Institute for Health Policy and the Department of Medicine at Massachusetts General Hospital and Harvard Medical School in Boston, said that financial considerations — whether honoraria, consulting fees, stock options, or direct payments — can have a profound effect on which trials get published or promoted. “The important thing to remember is that relationships with industry — they may not always be conflicts — are ubiquitous in all aspects of medicine, medical research, and medical regulatory affairs,” Dr. Campbell said. “If a study is funded by a drug company to investigate its product and if the investigator also has relationships with that company, you can be darn sure that if the study makes it to publication, it’s going to favor that product,” he said. Like Dr. Ross and Dr. Powers, Dr. Campbell pointed out that lax or absent regulatory oversight implies a lack of concern and a tacit acknowledgment of a lack of enforcement of existing rules. 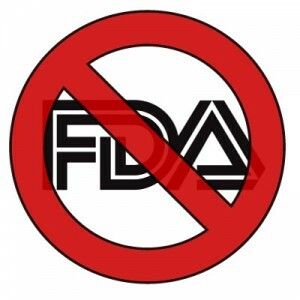 “The bottom line is that if you don’t report stuff and nobody pays attention to whether it’s reported or not, you’re just signaling that it’s not important and that nobody cares, and clearly that’s the message that FDA is sending out,” he told Medscape Medical News. The report, prepared by staff from the Chicago regional Office of Evaluations and Inspections in the HHS Inspector General’s Office, was based on reviews of financial forms, attachments, and accompanying FDA review notes for all 118 marketing applications approved by the agency in fiscal year 2007. The watchdogs also reviewed FDA regulations and guidance, conducted structured interviews with FDA officials, and surveyed FDA reviewers. * 1% of clinical investigators (206 of 29,691) disclosed a financial interest. * 42% of FDA-approved marketing applications were missing financial information, 23% of approved marketing applications were missing a certification or disclosure form or required attachments, and in 28% of applications, sponsors used the due-diligence exemption to indicate that they were unable to provide complete financial information. * FDA did not document a review of any financial information for 31% of marketing applications. Reviewers who followed a review template were more likely to include financial information than those who did not. * In 20% of applications with disclosed financial conflicts, neither the FDA nor sponsors took action. * Ensure that sponsors submit complete financial information for all clinical investigators. * Use a complete list of clinical investigators to check that sponsors have submitted financial information for all. * Require that sponsors submit financial information for clinical investigators as part of the pretrial application process. * Check that sponsors have submitted all required attachments to financial forms. * Update guidance to sponsors regarding the due-diligence exemption. * Add a review of financial information to the on-site inspection protocol. * Ensure that reviewers consistently review financial information and take action in response to disclosed financial interests. * Require that all centers consistently use a template that includes a prompt to document a review of financial information. * Provide additional guidance and training to reviewers. In response to a request from Medscape Medical News for comment, FDA spokesperson Karen Riley sent a statement noting that the agency agreed with all of the HHS recommendations except the one stating that the FDA should request information from clinical investigators prior to trial initiation. This pretrial disclosure recommendation is not meant to be punitive or burdensome, Dr. Powers said, but it recognizes the fact that bias, whether intended or not, can slip into the process whenever money is involved. We have Another Friend in Congress! Powerful Congresswoman Rosa L. DeLauro (D-CT) has adopted a position in line with what the Natural Solutions Foundation has been calling for over the last months: the FDA cannot regulate drugs and their major economic competitor, foods. She also applauds our oft-repeated assessment of the FDA’s performance in food safety is beyond dismal and cites the recent – and damning – Government Accountability Office (GAO) study to document just how dismal it is. Up to now, the solution of the Federal Government to repeated exposure of how dangerous, corrupt and damaged the FDA is has been two fold: either Congress took away powers and responsibilities to set up new agencies (e.g., EPA, Consumer Protection Agency, Bureau of Narcotics and Dangerous Drugs, etc.) or they passed new legislation which gave the failed, and deadly, agency more money and more power to do a worse job with (e.g., 2008 FDA Reorganization Act). The current food safety crisis, with melamine approved for infants, GMO foods and cloned meats and milk approved without scientific studies showing they are safe, fluoridation of water permitted and encouraged despite massive scientific evidence documenting its dangers, irradiation of everything it can find a way to irradiate, including raw nuts and salad greens approved regardless of rational thought, growth hormones, pesticides, veterinary antibiotics permitted in outrageous doses, a relentless assault on dietary supplements, herbs and other non-drug health strategies, multinational servitude in Codex with disastrous results to the world food supply, etc., etc., etc., must be laid solely at the doorstep of one of the most dangerous and corrupt agencies in the history of the United State. It is time to stop the losses and get food out of the dirty hands of the FDA. The same, of course, is true of the USDA. How? By giving food regulations back to the States where the local interest influences of consumers and the impact of local certification programs can help us to reclaim the production of safe, wholesome food and make it accessible for all of us once again. Industrial food is killing us. Let’s kill the messenger and get government out of food and food out of government. Visit www.HealthFreedomUSA.org to sign up for the Health Freedom Action eAlerts (http://drrimatruthreports.com/?page_id=187) so you can add your voice to the netroots telling Congress and President Obama that Health Freedom Is Our First Freedom and the FDA threatens our health and our freedom. Click Health Freedom IS Our First Freedom; Divest the FDA of Food Regulation I‘ ><a href=\'http://vitaminlawyerhealthfreedom.blogspot.com/2009/02/health-freedom-is-our-first-freedom.html\' >Health Freedom IS Our First Freedom; Divest the FDA of Food Regulation I</a> (Health Freedom IS Our First Freedom; Divest the FDA of Food Regulation I) to watch Natural Solutions Foundation’s Trustee Ralph Fucetola’s stirring address on Divesting the FDA and click here (http://drrimatruthreports.com/?page_id=189) to make a tax deductible recurring donation to help Natural Solutions Foundation divest the FDA. Now scroll down to read Congresswoman DeLauro’s stinging condemnation of the FDA. For years now, the American people have learned to live with the possibility that their food may not be safe. The list of incidents has grown month after month, from spinach to shellfish from ground beef to peppers. Now, a devastating salmonella outbreak has been tied to the Peanut Corp. of America and its Blakely, Ga., plant. It has killed eight people and sickened more than 500 people across the country, and a criminal investigation is underway to determine whether the producer knowingly sold a dangerous, contaminated product. But this is not just a case of one bad actor. This salmonella outbreak is just the latest — and it represents the full-scale breakdown of a patchwork food safety system. When we look at recent headlines, it is hard not to see a food safety system in crisis — a dysfunctional federal agency, the Food and Drug Administration. unable to perform its mission and protect the American public. Last month, the Government Accountability Office deemed that the regulatory activities governing food safety continue to pose a “high risk” to the economy and public health — the consequence of a fragmented legal and organizational structure with insufficient authority and too few resources to protect the American people. While innocent people continued to get sick from contaminated peanut butter, the case lingered in jurisdictional limbo between the FDA and the U.S. Department of Agriculture, causing critical delays. And when the salmonella’s source was finally identified, FDA officials had to wait for industry approval before they could go live with the recall. That is not how a fully functioning regulatory agency is supposed to operate. Separating food safety regulation from drug and device approvals would go a long way toward restoring the balance that has long been missing at the federal Department of Health and Human Services, and give food safety the attention it deserves. By establishing a Food Safety Administration within Health and Human Services, headed by its own commissioner, we can give food safety experts and researchers the room and the resources to do their jobs. Because we need an agency fully committed to actively preventing food-borne illness, not just reacting to it, I have introduced the Food Safety Modernization Act. In addition to establishing a new, separate Food Safety Administration, this legislation would provide the regulatory tools to access important records, recall products and penalize companies for knowingly selling tainted products. It also would require traceability, mandate regular inspections, demand that imported food meet our safety standards and require companies to take preventive measures. While these are not new ideas, the push for change could not be more urgent. With every recall, the American people grow more concerned and the momentum for reform grows. I know this is an important issue for many of my colleagues in Congress and I look forward to working with them to ensure food safety is a priority. Ultimately, though, it starts at the top. For eight years, our food safety system has been crippled by disinvestment, mismanagement and a failure to meet its most basic regulatory responsibilities. True reform is going to require strong leadership from our president. I am confident, at last, that we have a government that understands its obligation to its citizens and is ready to modernize our food safety system to better protect public health. • U.S. Rep. Rosa L. DeLauro, D-New Haven, represents Connecticut’s 3rd Congressional District and serves as the chairwoman of the Agriculture-FDA Appropriations Subcommittee. This detailed posting gives yet another example of why the FDA must be divested of its food authority before its mismanagement causes even more harm. The Federal Govt’s “don’t ask, don’t tell” policy regarding GMO (genetically modified organisms) creates conditions for a mega-disaster of unknown severity. Once genetic material migrates from a modified plant or animal into other plants, animals, insect, or what have you, that migration is permanent except for one thing: the DNA is not stable so it literally “jumps around” causing novel proteins to be expressed. Novel proteins, or proteins which have never existed before during the course of all life on this planet, have novel impacts. Read that as “infertility”, “sterility”, “cancers”, “auto-immune diseases”, “Joint and connective tissue diseases”, “neurological diseases”, “fetal death”, “failure to thrive”, “infant mortality”, etc. Babies in utero are particularly susceptible to the impact of these “novel proteins”, but no one is immune. Worse, the genes have no stable place to reside in the DNA of whatever cell they are working in this week so they move from place to place to place inside the nucleus of the cell, causing the resident genes to change their functions and produce yet more novel proteins. Now ask yourself what happens if vaccine-producing plants (or industrial-product producing plants – the issue is identical) mingle their pollen with the plants that produce your food and the food of the animals of this planet. The USDA has reduced the already close-to-non-existent controls on industrial plant growth next to, and contaminating, food plants. For example, for 5 years Bayer’s Crop Science vaccine rice was growing next to, and contaminating, food rice in Louisiana. Bayer knew about it (perhaps the USDA did, too – we do not have that information) and said nothing. When the contamination was discovered, Bayer was not fined or sanctioned by the US Government and the contaminated rice was simply sold to the US Military for its troops in Iraq (!!!). US Military labs detected the contamination and the rice was then sold to sub Saharan African countries like Ghana. There, in every rice market that was tested, the contaminated rice was found. Poor people, buying their daily food, were eating poisoned rice, courtesy of the Biotech Industry, Bayer Crop Science (from Beyer, the same corporation that knowingly sold HIV contaminated blood fractions in Europe when they could not sell them in the US) and the US Government. But if you are buying food, especially prepared food, in the US, you are in exactly the same position: poisoned “food”, lacking any notification or labeling of that poisonous status, is being sold to you as if it were wholesome and fit for human consumption because of the total failure of the US Government to protect your health or the integrity of the food supply from commercial – and worse – interests. The Natural Solutions Foundation has created the International Decade of Nutrition, www.NaturalSolutionsFoundation.org, to reclaim the production of food. The US Government is on the other side: industry interests and conflicts of interest make the US Government, according to all assessments, including the US Congress’ most recent report on the subject, totally unable to resist industry pressure and totally unwilling to clean house in order to become a health promoting system. Indeed, FDA scientists have openly appealed to President Obama for help in allowing them to do their job: being science to the regulation of safety. Reformation after reformation, new agency after new agency, staff shuffle after staff shuffle have failed to weaken industry and strengthen either science or sense in the government regulation of food. ENOUGH! Our lives and our children’s lives are at stake. The Natural Solutions Foundation is once again leading the way by identifying the problem and providing the natural solutions: the system is broken beyond repair. No amount of patchwork will repair it. It is time for the failed US Government to relinquish its failed mission of food safety and regulation to the smaller governmental units which are closer to the will of the people: State governments. Remembering that NO science of safety is PERMITTED for genetically modified “foods” in the US, remembering that patents on GMOs are based on outdated and invalid scientific premises, remember that the US Supreme Court was packed beforehand in order to grant patent rights to Monsanto, and remembering that well over 80% of the US population would prefer not to eat GMO “food” although more than 90% of the American food stock is contaminated with GMO “food”, the following article should arouse a strong response. The stunning disregard for science and safety shown by the US Government at the behest of the food-related industries is almost too large to take in at one gulp. Biotech “foods”, approved by the FDA, USDA and Codex, as they are, represent a major threat to health, indeed, to life on this planet. 3. Another federal agency will not protect food and the health of the American people since conflict of interest and corruption run too deep. 4. Regulatory responsibility for food must be turned over to the States, consistent with their Constitutional mandates and rights so that the impact of the people, from whom regulatory authority comes, is far closer to the exercise of regulatory authority. The Natural Solutions Foundation invites you to join us in the 2009 Health Freedom Campaign to Divest the US Government of its Food Regulatory Responsibilities in order to return assurance of food safety and health protection to the States and, hence, to the People. For more information on the Campaign to Divest the US Government of Food Regulation, click here (http://drrimatruthreports.com/?p=1601). Please write to divestgovernment_food@gmail.com to indicate your interest in this special, life-saving campaign. We are planning a webinar on the topic and would like to keep you informed. Your email information will not be shared with anyone else and will be kept confidential by the Natural Solutions Foundation, www.HealthFreedomUSA.org. Please indicate “Divest” in the subject line and we will notify you when the webinar will take place. Campaigns like this are costly. All donations to the Natural Solutions Foundation are tax deductible and an astonishing 100% of all donations goes directly to the work of the Natural Solutions Foundation since all overhead is donated and the Trustees take no salaries. Click here (http://drrimatruthreports.com/?page_id=189) to give generously to help us help you by mounting an effective campaign to divest the US Government of its food regulatory authority and returning it to the People so that we can prevent the gross disregard for our well being, and the nightmarish destruction of our food and our health which the US regulatory structure allows. Norwich based scientists are heading up an international collaboration that aims to develop plant-based vaccines for some of the most devastating diseases to afflict the world’s livestock. Avian flu, foot and mouth disease and blue tongue are just some of the diseases targeted under the EU-funded project, led by Prof George Lomonossoff of the John Innes Centre (JIC) in Norfolk and backed by further participation from teams in Russia and South Africa. Using a new system that lowers the time required to conduct the experiments from months to weeks, plants will be stimulated into producing specific proteins, which can subsequently be assessed for their value as vaccines. It is the time taken for production of these proteins that has been accelerated, which means that large-scale screening for candidate vaccines is now within reach. The partners say they have now shown that plant-based vaccines production and assessment is possible, and safe. Professor Konstantin Skryabin, coordinator of the Russian laboratories for the PLAPROVA (Plant Produced Vaccines) project, said the development of new techniques for expression of vaccine proteins in plants is a very important topic for Russia. PLAPROVA will utilise transient expression techniques to temporarily stimulate plants into over-producing proteins, which can subsequently be assessed for their value as vaccines. Though plants have been used to produce pharmaceuticals in this way before, technical constraints have prevented their value from being fully realised. The group say a few candidates with proven vaccine ability have been produced and, although these proteins are effective at preventing disease, they have limited commercial use as they are in competition with existing conventional products. They have, however, shown that plant-based vaccines production and assessment is possible and safe. Initially, the consortium will concentrate on diseases of importance to farming in both the EU and Russia, which includes avian influenza, blue tongue, foot and mouth disease and porcine reproductive and respiratory syndrome. Proteins identified through this screening programme will be developed for large-scale production and ultimately low-cost production of effective vaccines.